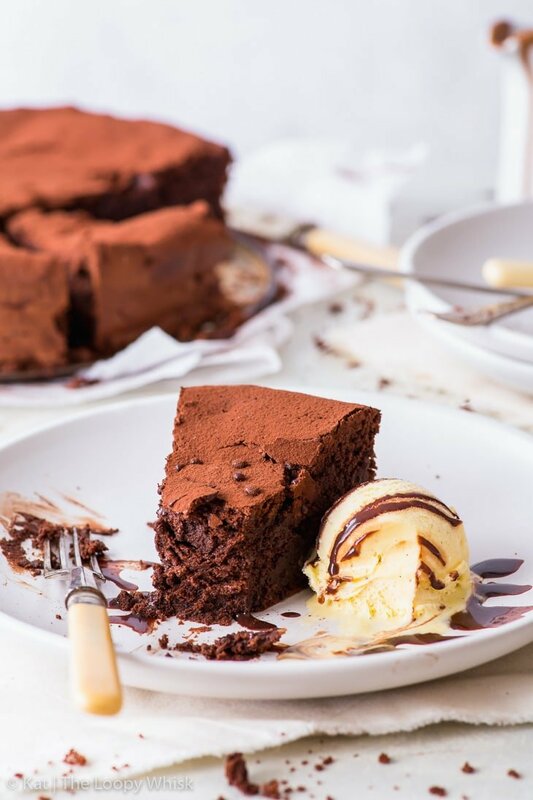 This flourless chocolate cake is every chocolate lover’s dream come true. It’s fudgy and chocolatey and basically tastes like a mix between a truffle and chocolate mousse. 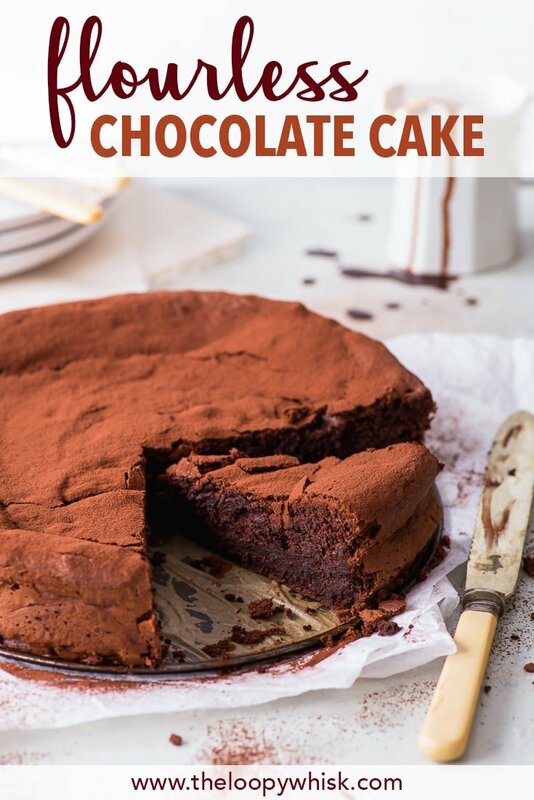 That is, it’s pretty much chocolate perfection – and super easy to make as well! I’ll tell you something I’ve never thought I could possibly say: I found a chocolate dessert better than brownies. It’s true. As shocking and impossible as it sounds, it’s really 100% true. I’m a huge chocoholic. 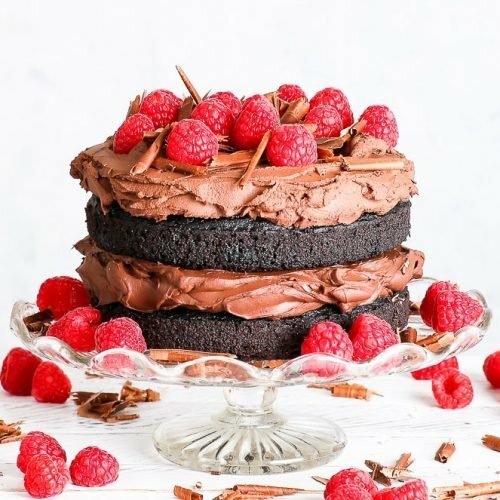 My Instagram account is at least 60% chocolate, and I’ve considered re-naming the blog “The Chocolate Covered Whisk” (but only for, like, 1.5 seconds because it’s nowhere near as catchy as The Loopy Whisk – plus choosing that name took over 2 weeks and sweat and tears and stress-eating brownies, so there’s no way I’m giving that up). 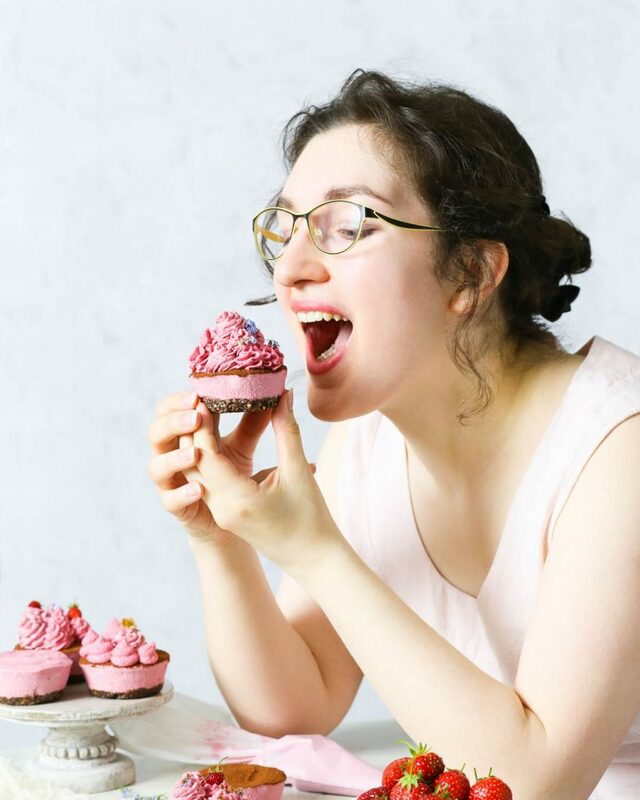 Being a chocoholic, you better believe I know my way around chocolate desserts – from brownies (gluten free ones and healthy ones and not-at-all-healthy marshmallow ones) to triple chocolate cupcakes, from chocolate cake to triple chocolate pop tarts… I’ve made and enjoyed them all. 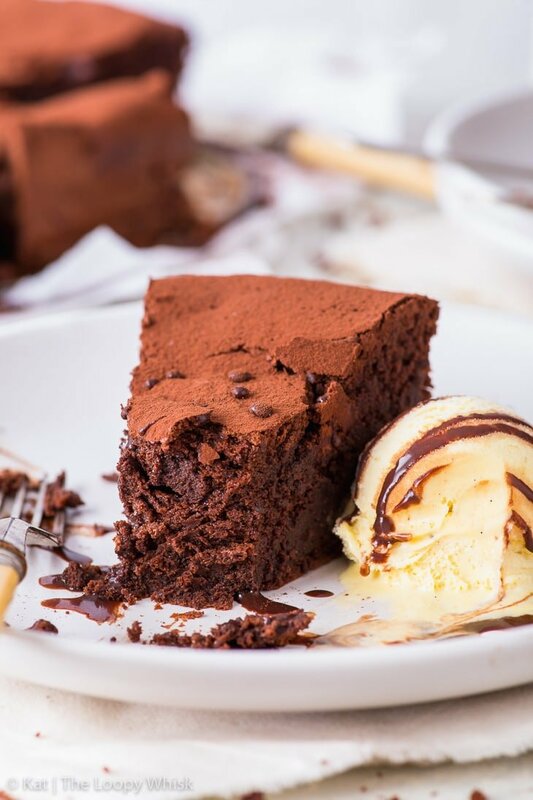 But this flourless chocolate cake – oh my, this cake takes the crown. A friend asked me how I would describe the cake, its flavour and – more importantly – its texture. 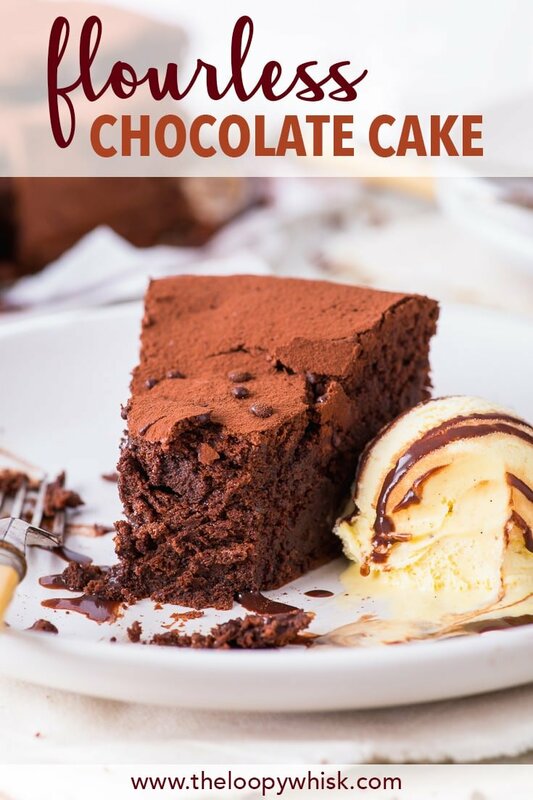 It doesn’t have the crumb of a typical chocolate cake, nor does it have the gooeyness of brownies. It’s in a class of its own. And what a class that is. 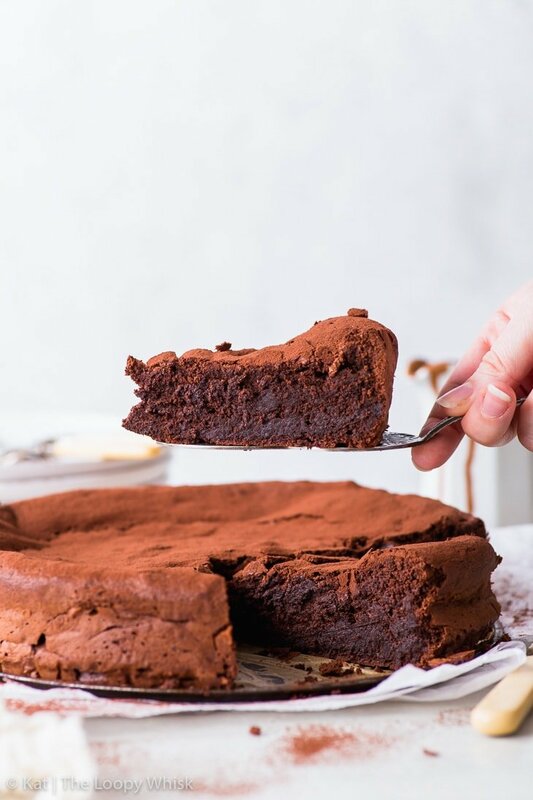 This flourless chocolate cake tastes like a fluffy chocolate truffle with a crisp, crackly crust that melts on your tongue. 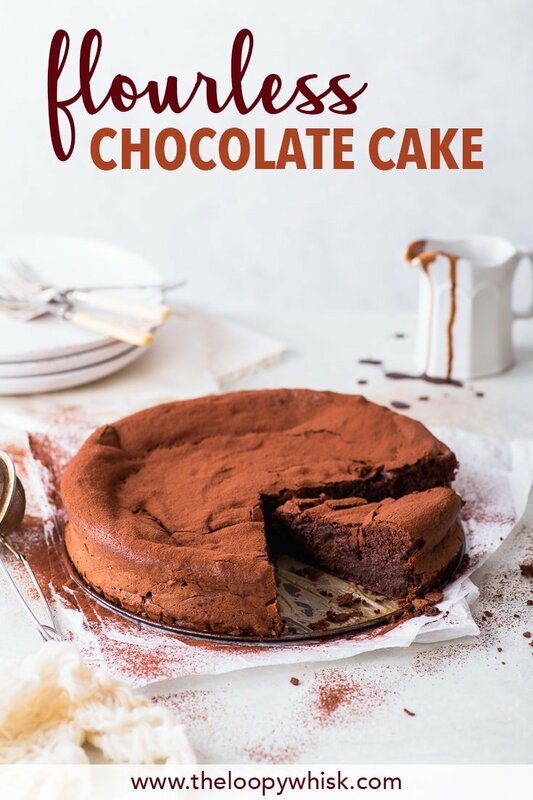 It’s luxurious and decadent and intensely chocolatey – without feeling too heavy or too rich. 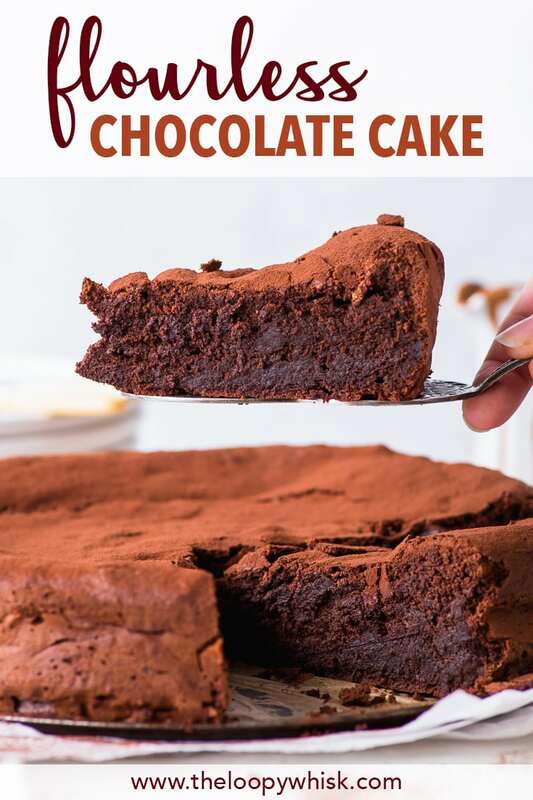 Because it doesn’t contain any flour (not even almond flour or any other ground nuts), there’s nothing masking or diluting the wonderful flavour of chocolate. That also means that you better use a high quality chocolate (and cocoa powder) – if you don’t… you’re going to taste it. That’s it! 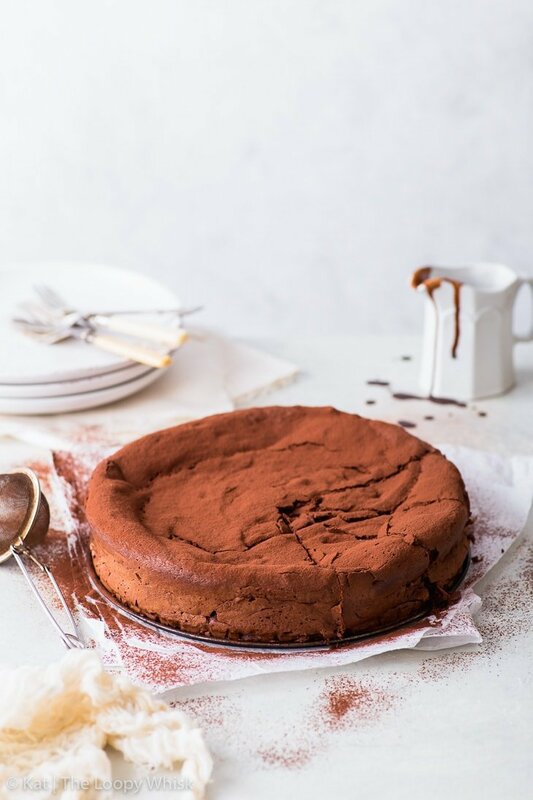 You probably have all these ingredients in your pantry already (so you should probably make this cake ASAP… and thank me later). First up, melt some (high quality) dark chocolate and butter over a pot of simmering water, until smooth and glossy. I’ve used a chocolate with 73% cocoa solids, but anything above 60% will work well. Next up, add the egg yolks to the melted chocolate, whisking well. 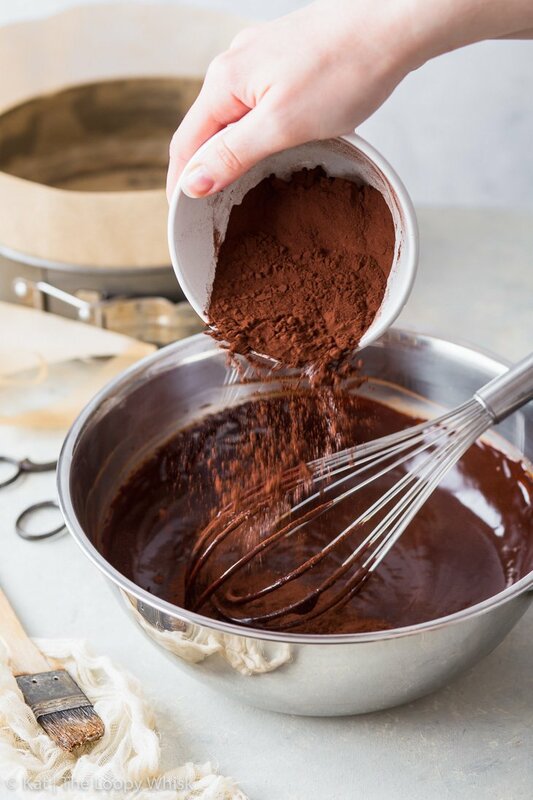 Then add in the cocoa powder and salt, and whisk – the cocoa powder may cause the batter to thicken and become grainy. Don’t worry, it’s okay. Your flourless chocolate cake will still come out as pretty as a picture (and even more delicious), promise. Whisk the egg whites and sugar together until they form stiff peaks. Yes, we’re essentially making a simple meringue that we’ll then fold into the chocolate batter. First, add about 1/3 of the meringue to the chocolate mixture, just to loosen it up. 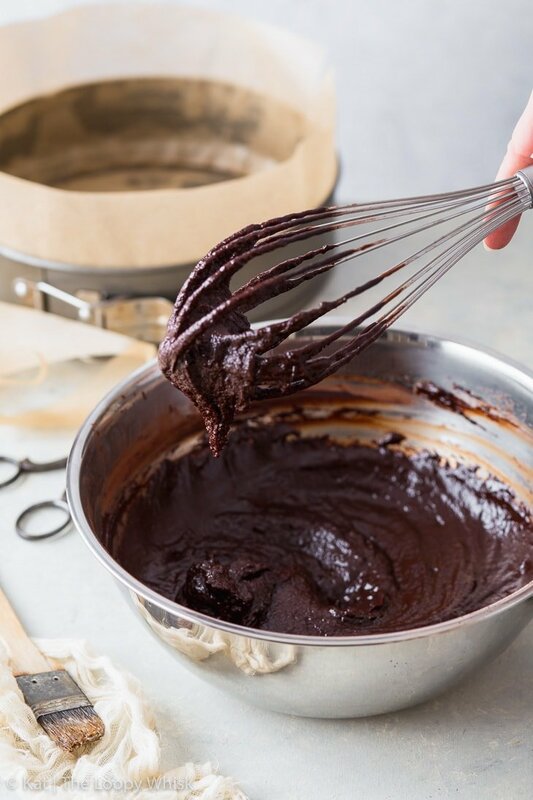 Transfer the flourless chocolate cake batter into a lined springform pan and smooth out the top. Then, bake at 355 ºF (180 ºC) for about half an hour until risen and a generous (slightly cracked) crust forms on top. 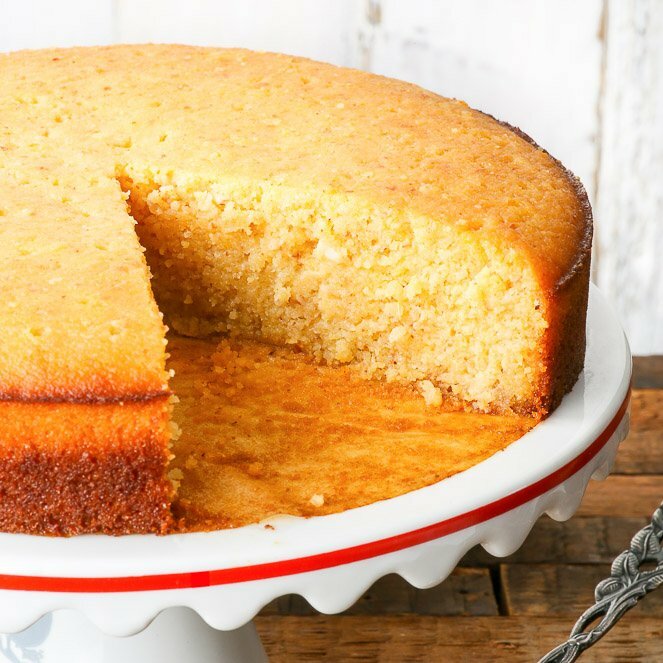 If you insert a skewer or toothpick into the middle of the cake, it shouldn’t come out clean – instead, it should have some half-baked batter and moist crumbs attached. 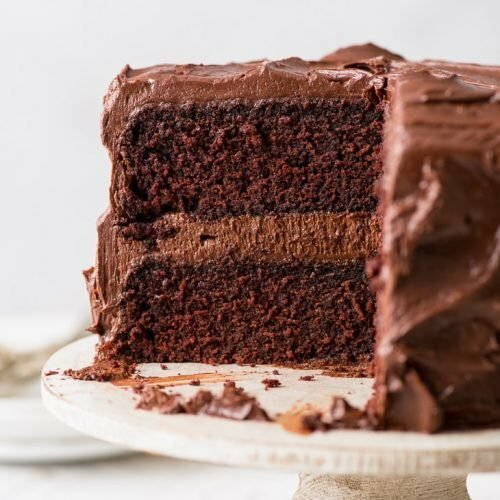 Remember, this is a super moist and fudgy cake – you don’t want to over-bake it! As the cake cools, it will sink and collapse slightly in the middle. Because it doesn’t contain any flour, this cake will naturally have less structure, so the sinking is fully to be expected. In fact, the sinking emphasises the cracking of the crust, making the cake even more stunning! Finally, dust with some cocoa powder (or powdered sugar) and that’s it! 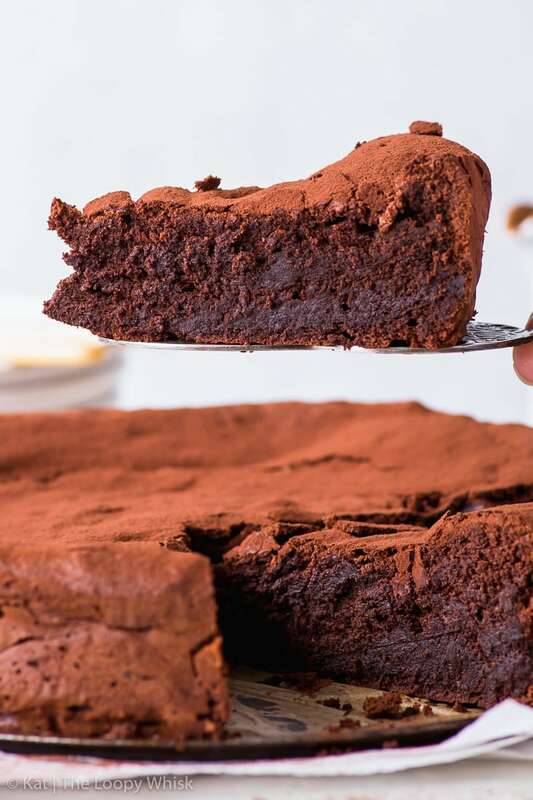 Is a flourless chocolate cake gluten free? 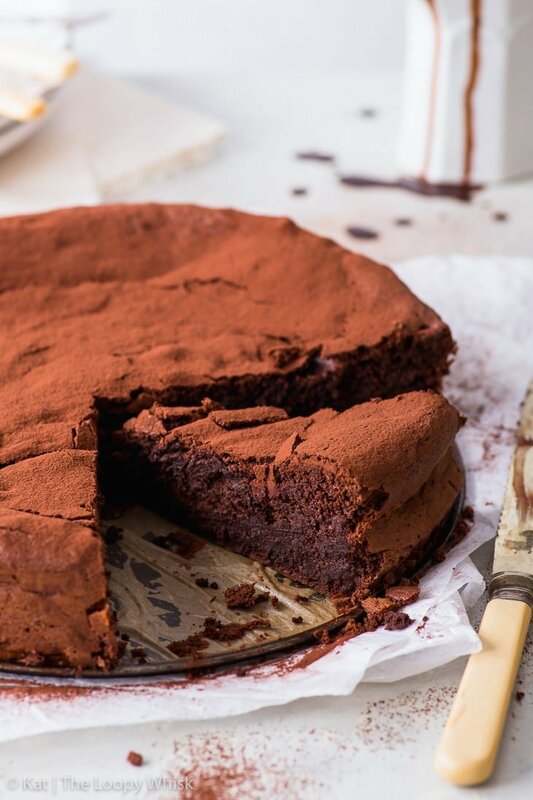 Do you have to refrigerate the flourless chocolate cake? I don’t recommend refrigerating the flourless chocolate cake, as keeping baked goods in the fridge has the tendency of drying them out faster. 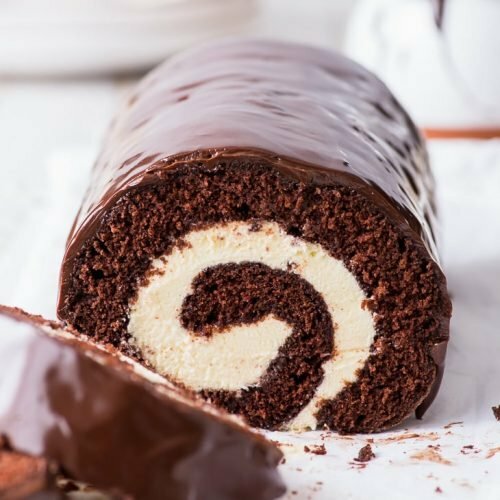 In general, I only keep desserts that contain some sort of frosting, cream or similar in the fridge (things like the chocolate Swiss roll or the ultimate gluten free chocolate cake). How long will a flourless chocolate cake last? 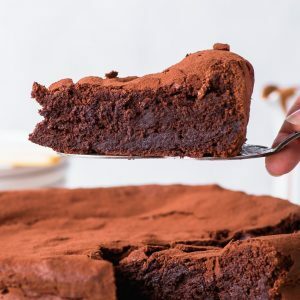 As far as baked goods go, this flourless chocolate cake stays moist and wonderful for a surprisingly long time – I found that it’s just as delicious 5 to 6 days later as the day it was baked (so long as it’s kept in a reasonably cool place in a closed container). The answer: not long at all. And I’m speaking from experience here. Enjoy, friends! 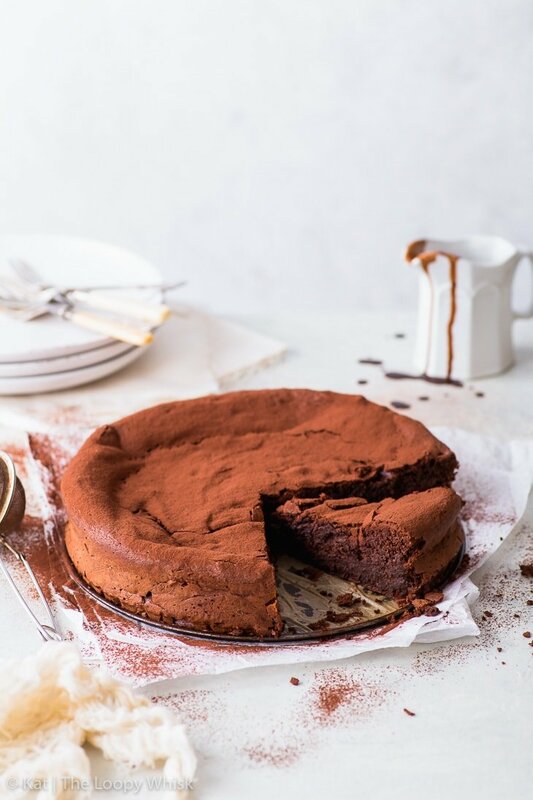 Because as far as chocolate desserts go… it doesn’t get much better than a fudgy, decadent flourless chocolate cake. Pre-heat the oven to 355 ºF (180 ºC) and line a 9 inch (23 cm) springform pan with baking/greaseproof paper. 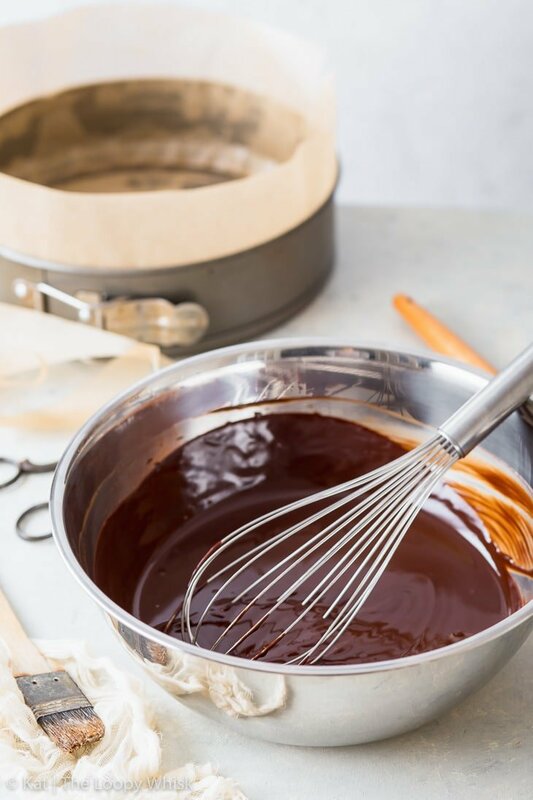 In a heat-proof bowl above a pot of simmering water, melt the chocolate and butter together until smooth. Set aside and allow to cool slightly. 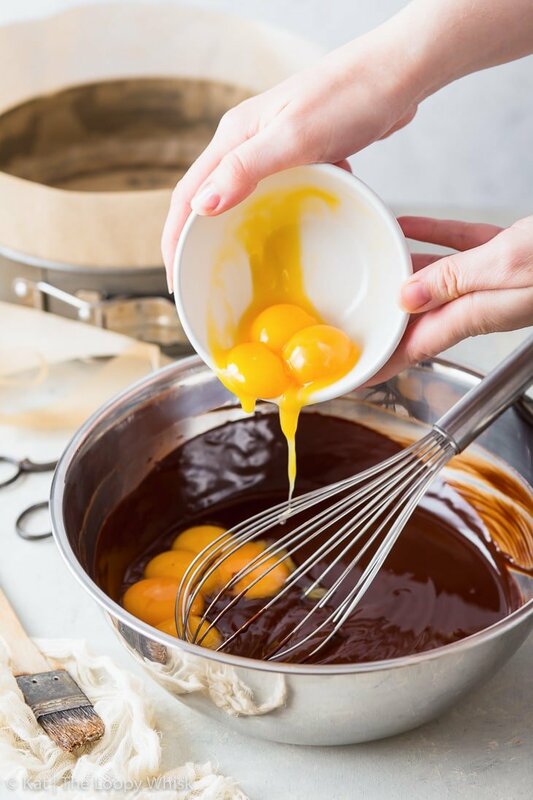 Add the 8 egg yolks to the melted chocolate add whisk well. Then, add the cocoa powder and salt, and mix until combined. 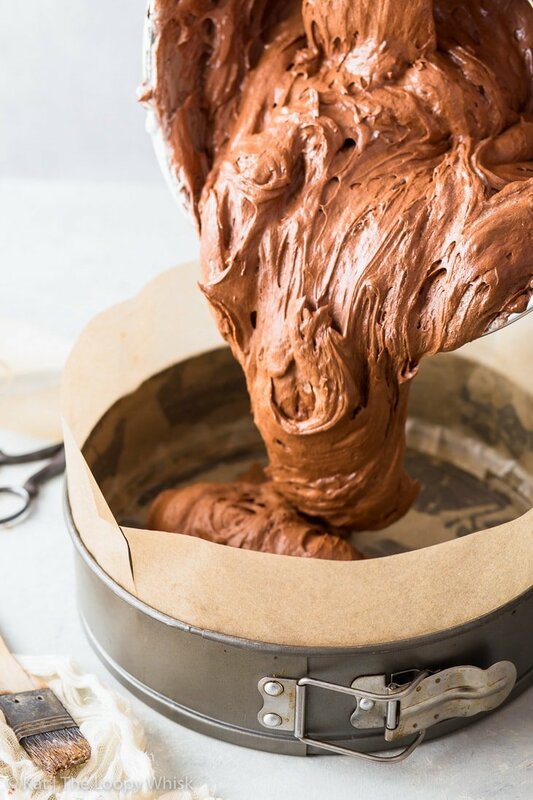 At this stage, the batter will appear quite stiff and grainy because of the cocoa powder – that's okay. 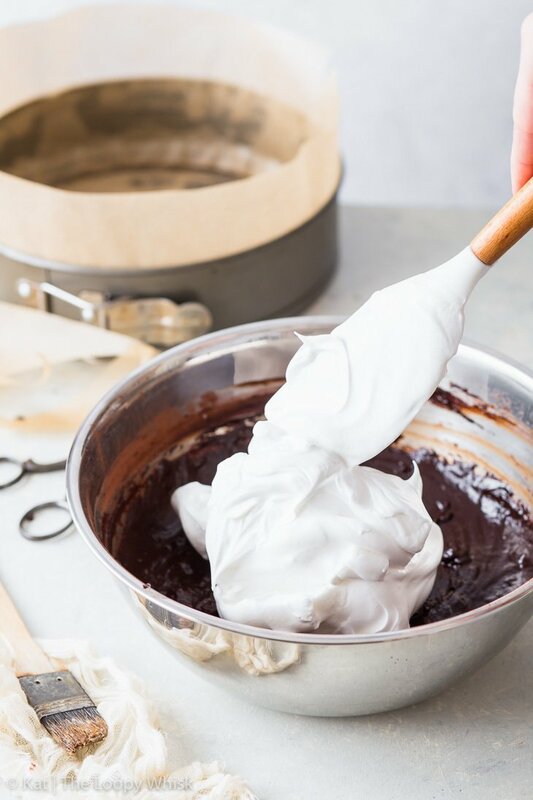 Using a stand mixer with the whisk attachment or a hand mixer with the double beaters attachment, whisk the egg whites and sugar together until they form stiff peaks (a meringue). Fold 1/3 of the meringue into the chocolate batter to loosen it up. Then, gently fold in the remaining 2/3 of the meringue, being careful not to lose too much of the air trapped in the whipped egg whites. 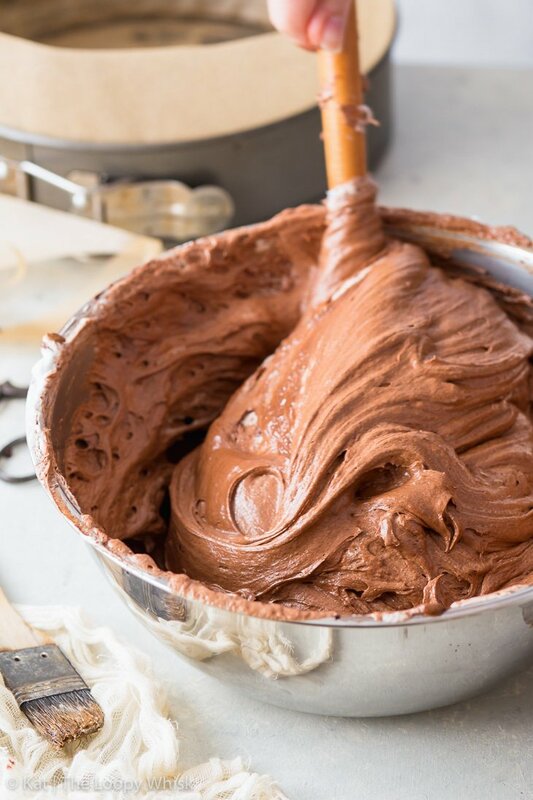 The final chocolate cake batter will have the appearance of a chocolate mousse (see photos in post). 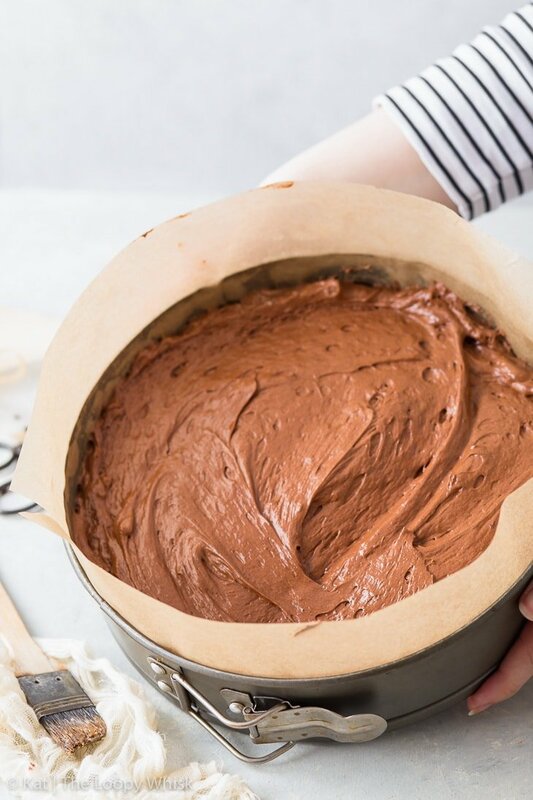 Transfer the cake batter into the prepared baking tin and smooth out the top. Bake at 355 ºF (180 ºC) for about 30 minutes or until risen and a crackly crust has formed on top. 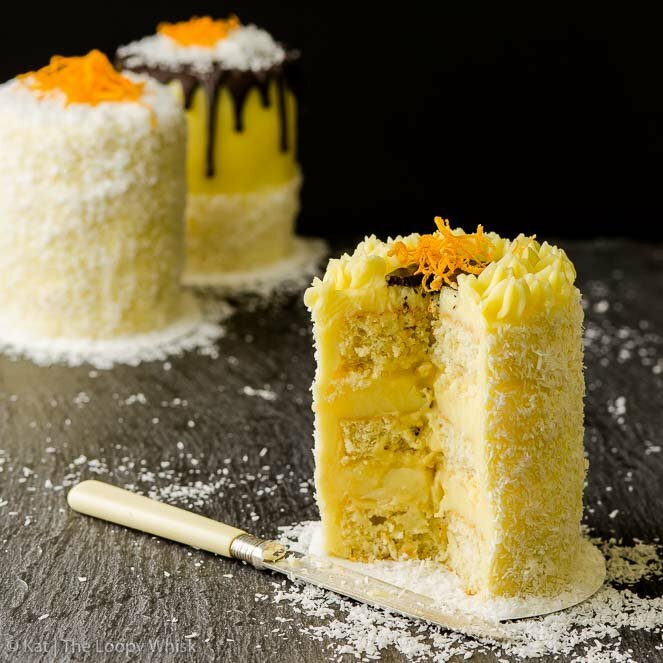 If you insert a skewer or toothpick into the centre of the cake, it shouldn’t come out clean – instead, it should have some half-baked batter and moist crumbs attached. Allow to cool in the springform pan for 5 - 10 minutes, then release it from the pan and allow to cool completely. Dust with some cocoa powder or powdered sugar, and serve. Enjoy! 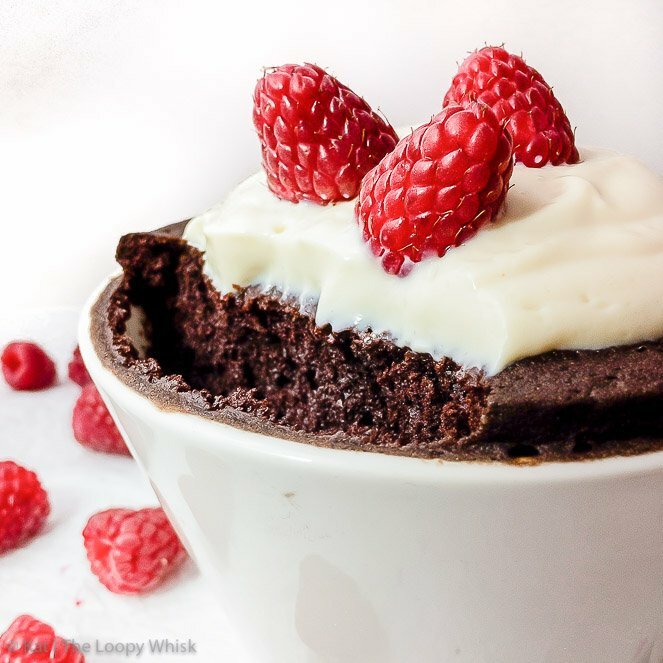 The flourless chocolate cake keeps well in a closed container in a cool dry place for up to 5 - 6 days. 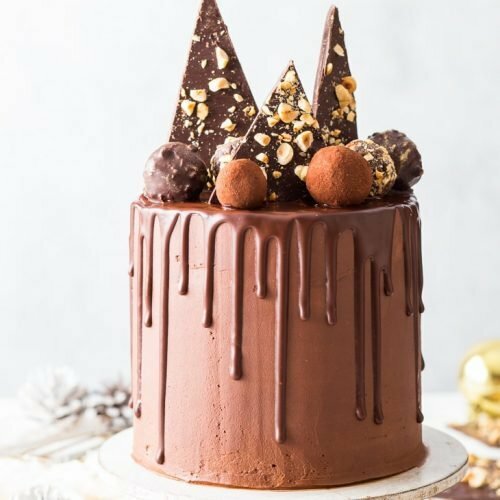 Looking for more delicious chocolate cakes? Is there any way to make this dairy free as well? I’m completely unfamiliar with dairy-free baking, and wanted to bake this for my friend who is both gluten and dairy free. Hi Gee Ann, as the butter is melted together with the chocolate, the temperature of the butter isn’t important. Hi do you think I can use keto sugar replacement like stevia or erythritol? Thanks! Hi Nicole, I know the recipe works with an equal quantity of coconut sugar as a substitute. However, I don’t think stevia or erythritol will give the same texture, as the cake relies on the whipped egg+sugar mixture for its lightness. Is it ok if I replace the granulated sugar with brown sugar? Thank you. Hi! Can i substitute sugar with stevia or monk fruit or Any other sugar substitute? Hi Cristina, I know the recipe works with an equal quantity of coconut sugar as a substitute. However, I don’t think stevia or monk sugar will give the same texture, as the cake relies on the whipped egg+sugar mixture for its lightness. Hi, is using less, eg. 4 eggs ok as well? I would recommend just halving the whole recipe – changing only the number of eggs (and keeping all the other ingredient quantities the same) would mess with the texture, and I can’t guarantee that the results will be as delicious. Thank you for this lovely recipe! I’ve made it once and loved it, but I have a couple questions for the second bake: One, should it be placed on the center rack of the oven, or the top third, to get that crispy top? Mine was delicious but not crispy when baked on the middle rack. Second, do you use sweetened or unsweetened chocolate? Thank you so much again!